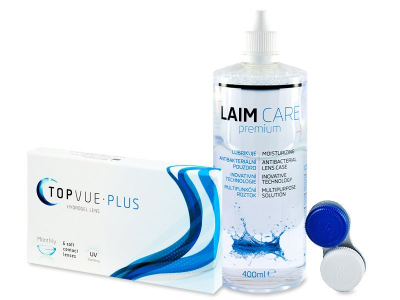 TopVue Monthly Plus contact lenses feature a high water content and UV filters, and the lenses are lightly tinted for easier manipulation. This package contains a 400 ml bottle of Laim-Care solution. 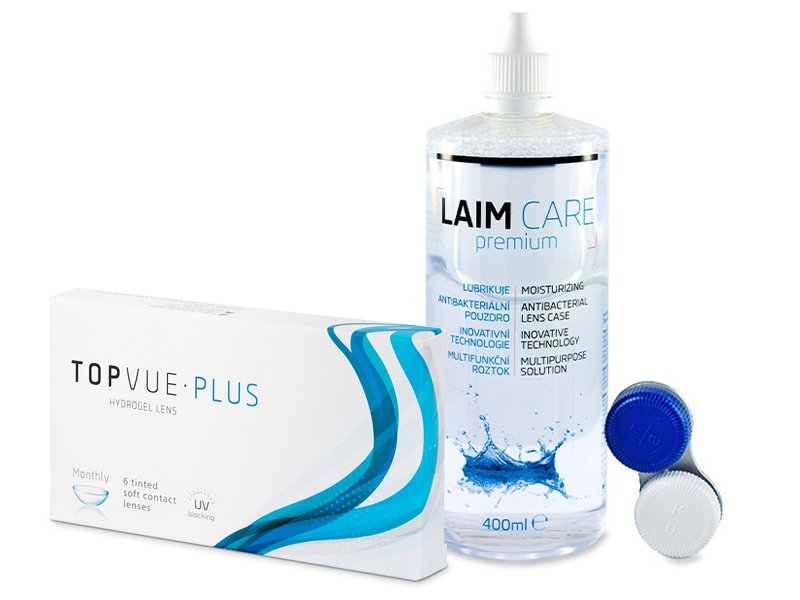 TopVue Monthly Plus are monthly contact lenses made from a hydrogel material (Methafilcon A) with a high water content and UV filter for extra protection. 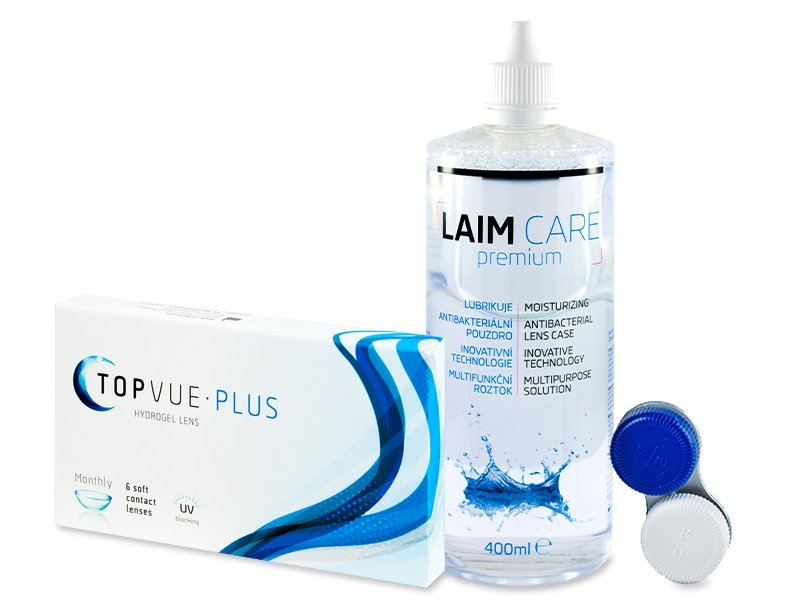 The lenses are lightly tinted for easier handling. Thanks to advanced technology, TopVue Monthly Plus lenses retain sufficient moisture to ensure all-day comfort. Each box contains six lenses.